You may have read recently that our county comprehensive plan – which was the result of a great deal of community input and citizen involvement – was vetoed by Pierce County Executive Pat McCarthy. The Pierce County comp plan is a guideline for our ever-changing communities and looks ahead to the next 20 years of growth. The state Growth Management Act requires counties to adopt comp plans every so often. I am surprised that the executive chose to reject the widely-supported plan given the tremendous amount of work put into it by county staff from a number of departments. Large, complex pieces of legislation are often a compromise between sides, none of which usually gets 100-percent of what was hoped for. To veto the whole plan based solely on a few amendments she found disagreeable is dangerously short-sighted. The Council had been working diligently, taking input from citizens all over the county, to craft an amenable plan before the June 30th deadline, and now this veto has put the county out of compliance with the state’s Growth Management Act and seriously jeopardized our ability to receive state funding. The plan we passed unanimously was the result of an extensive amount of research, discussion and collaboration, and deserves to remain intact. The “Merriman amendment” reclassifies 5.2 acres of rural separator land to an urban designation. That issue has been under consideration since 2009. 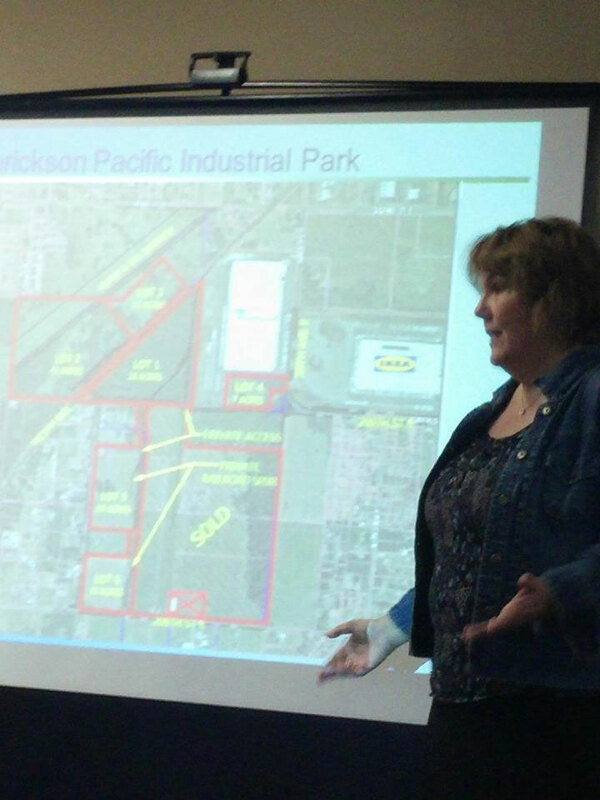 The “Fredrickson amendment” will allow for big-box retail development in the mostly industrial area east of Spanaway. Members of the Frederickson community came out in force to show their support for the proposal, which was fully vetted and went through a lot of iterations. In fact, it was included in the original comp plan proposal and not removed until the final committee hearing. Then it was added back during the final council meeting. While the executive may not like them, these amendments are supported by a majority of the people of Pierce County…which is why the final plan passed the council 7-0. We now have 30 days in which we can override the veto, and I intend to bring this issue back for an override vote before the end of the 30-day time period. Next story Graham Fire Commissioner Candidates Debate at 723! Previous story 723 Road Crew Strikes Again!